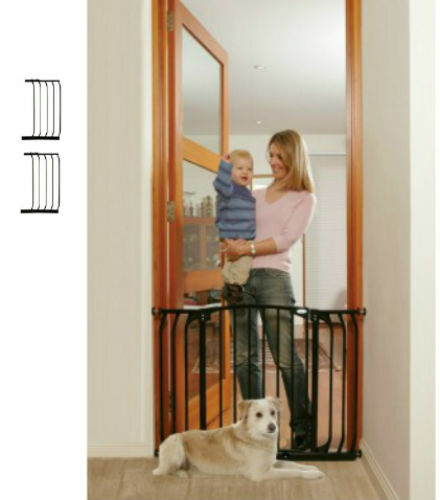 Tall Hallway Baby Gate Plus Two 14 Ext. (67 to 70W) – White package is the 39.4 inch tall version of the pressure mounted steel hallway gate and includes two 14 inch extensions. 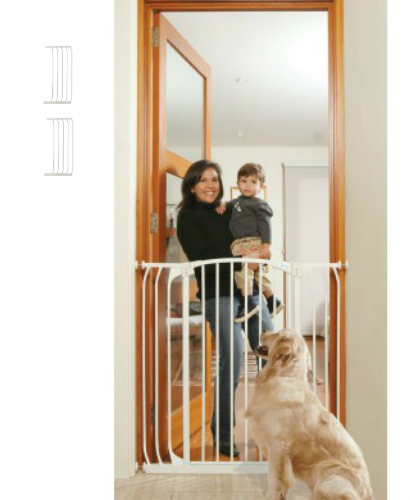 Tall Hallway Baby Gate Plus Two 14 Ext. (67 to 70W) – Black – Pressure Mounted with 20 inch doorway that opens in both directions – Includes two 14 inch extensions – 2 1/4 inch bar spacing. 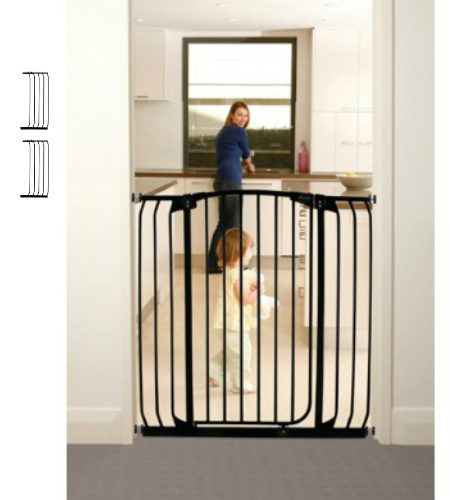 The Hallway Security Baby Gate Plus Two 14 inch Extensions in Black fits openings from 67 to 70 inches in width and has a height of 29.5 inches. This package includes a steel, pressure mounted gate plus two 14 inch extensions in black and has a convenient walk through door opening of 20 inches.